Clayoquot Sound near Tofino on Vancouver Island, British Columbia is a tranquil place where you are surrounded by small islands, lush green forest and many species of wildlife. An incredible place in the summer to enjoy nature boating and kayaking where you can explore the many islands of Clayoquot Sound and pure nature of Canada. 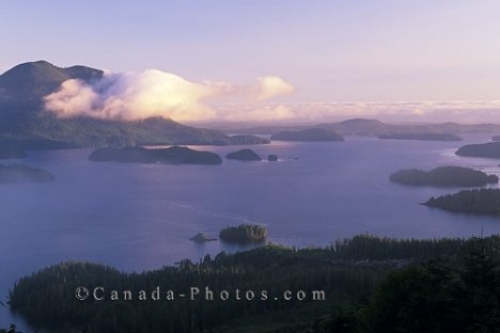 Picture of the Clayoquot Sound region on Vancouver Island in British Columbia, Canada.